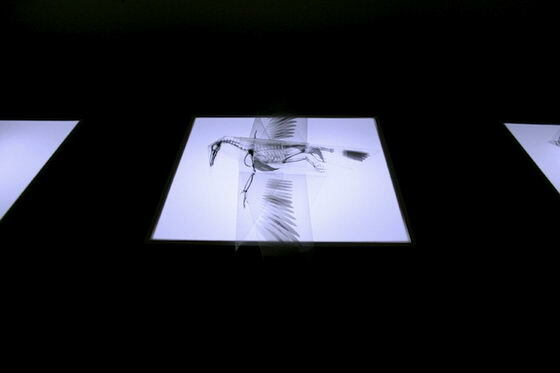 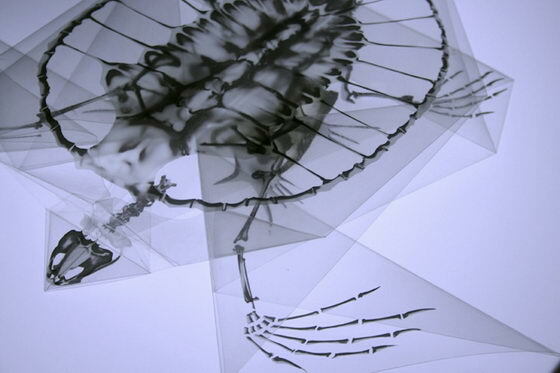 We have featured some interesting x-ray photography on our site before. 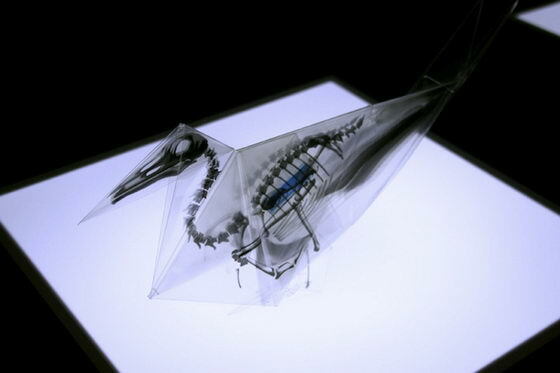 While today, we will present you this incredible X-Ray inspired origami called “Oritsunagumono” created by Japanese student Takayuki Hori. 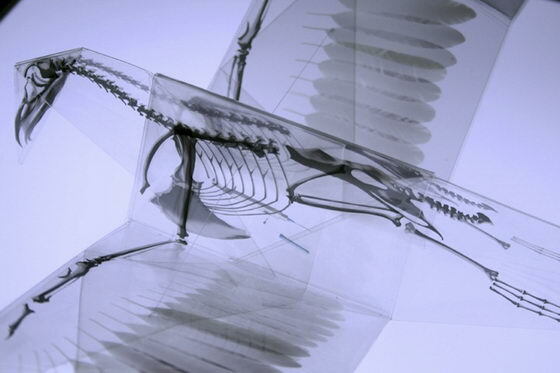 The artist printed skeletons of eight endangered species on translucent paper. 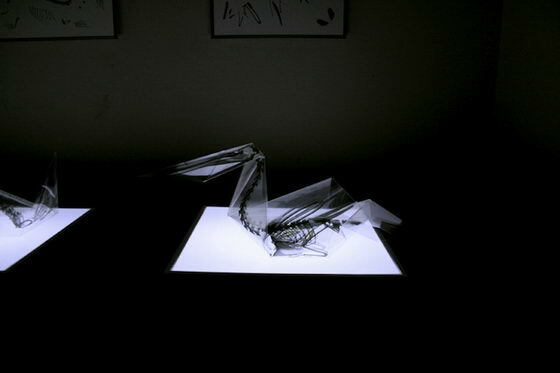 When laid flat, all you see are scattered bones. 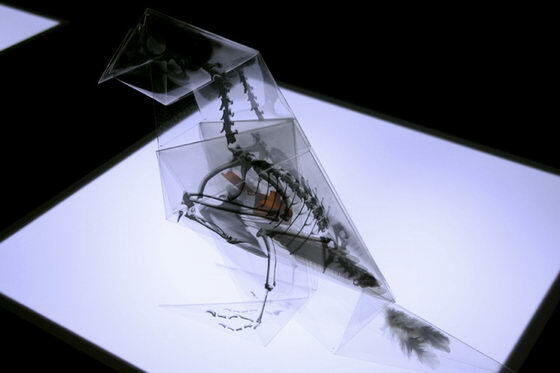 Once the paper is folded, the printed components are united as a whole, telling the visual story of the animal’s plight to survive in an increasingly polluted and hazardous ecosystem. 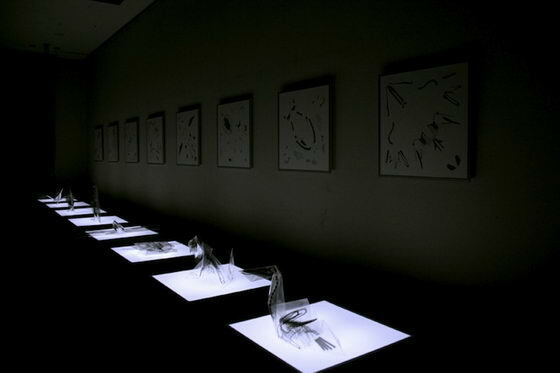 Truly amazing work.